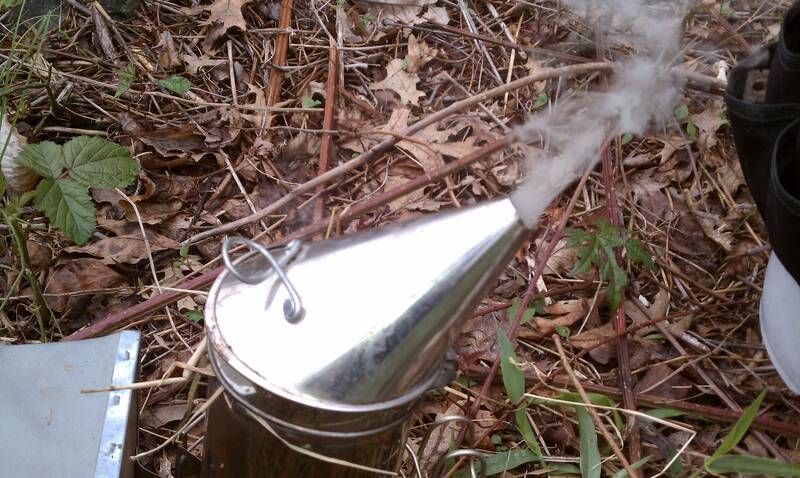 Of the few tools that a beekeeper uses on a regular basis, one of the most important is the smoker. Beginners often have trouble keeping the smoker lit and producing consistent smoke. 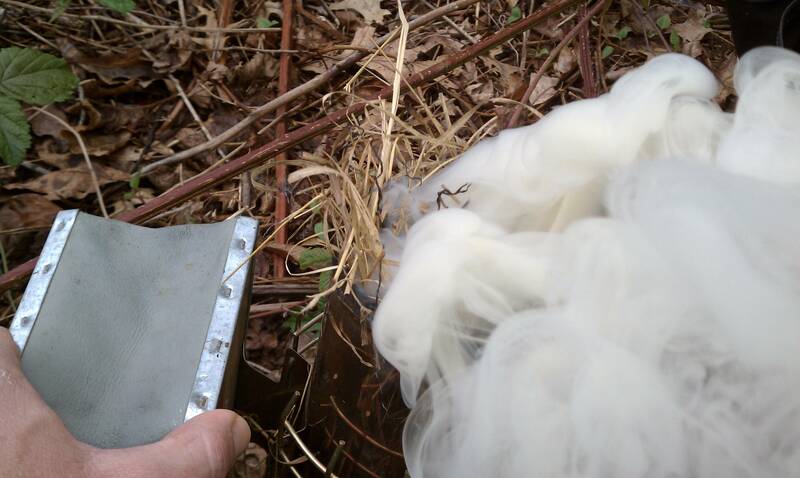 Use a smoker correctly and working in the hive is a pleasant, even fascinating experience in which the honeybees happily ignore your presence; use it incorrectly – or not at all – and working in the hive becomes a nightmarish experience for both you and your honeybees. The primary problem for most beginners is the selection of fuel for the smoker. After trying many different types of fuel, I have settled on hay as my fuel of choice. 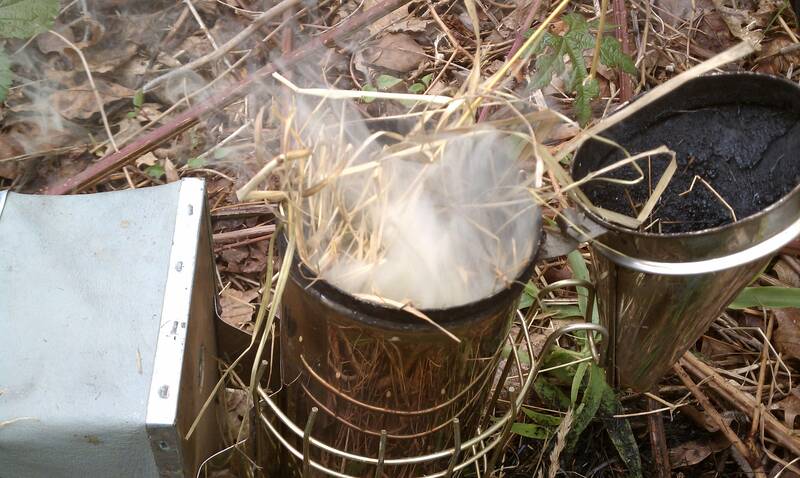 I prefer it because it produces a thick white smoke with a pleasant, non-acrid smell (that said, try not to breathe any smoke…), it smolders well for up to 15 minutes if there is a sufficient amount of hay, and it is inexpensive. 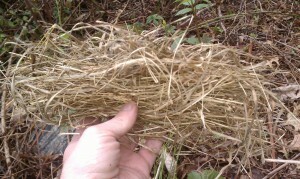 A bale of mulch hay can be purchased for less than $5.00 in most areas and will last the entire season. Baling twine is also a fantastic smoker fuel. However, it is sometimes treated with a rodenticide. 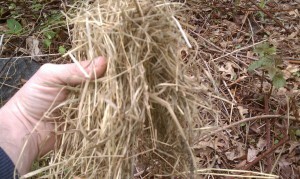 This is usually obvious because the twine is colored an dark orange or green. 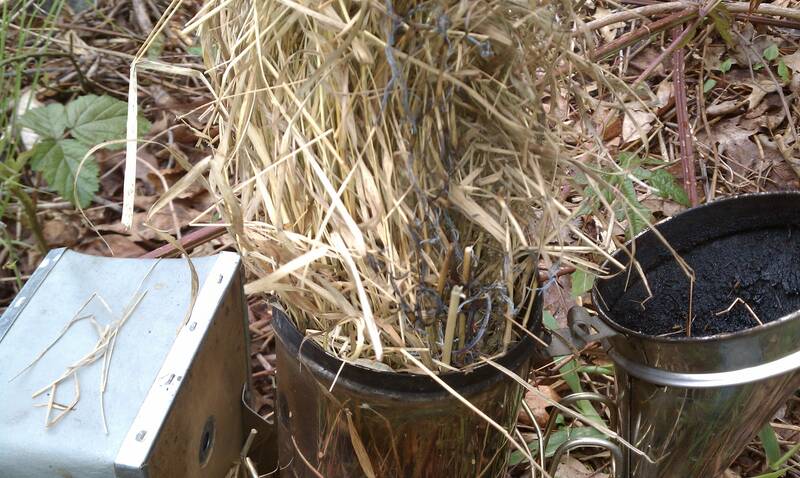 Before burning baling twine in your smoker, be SURE it is free of chemicals. You don’t want that kind of smoe in your hive, and I’m sure your don’t want to breathe it. Two other factors are also important: first, a larger smoker is easier to keep lit than a smaller one. Many beginners understandably select a small and inexpensive smoker when purchasing their equipment. Unfortunately, they don’t hold much fuel, so the smoker continually goes out. The second factor should be obvious: the fuel needs to be dry. Before lighting, empty the smoker. Be sure all ash and debris is removed. 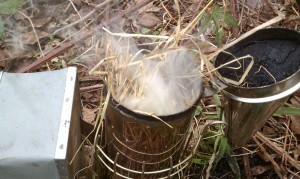 Next, prepare a small amount of hay to get the smoker lit. I like to fold the hay over, so both ends of the hay are pointing down, making it easier to light. Light the hay. I usually use a wooden match, but lighters work well, too. Gently pump the bellows to get the hay burning well. Don’t worry about consuming the hay, since the purpose of this initial fuel is simply to get the smoker lit, not to smolder. Think bed of coals in a fireplace. 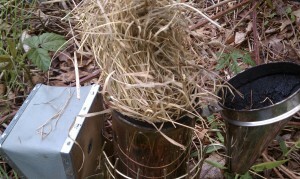 As the fuel begins to burn, push the hay down into the can with your hive tool. Take care not to push down so tightly that you eliminate all air space, which will extinguish the fuel. Keep pumping the bellows. 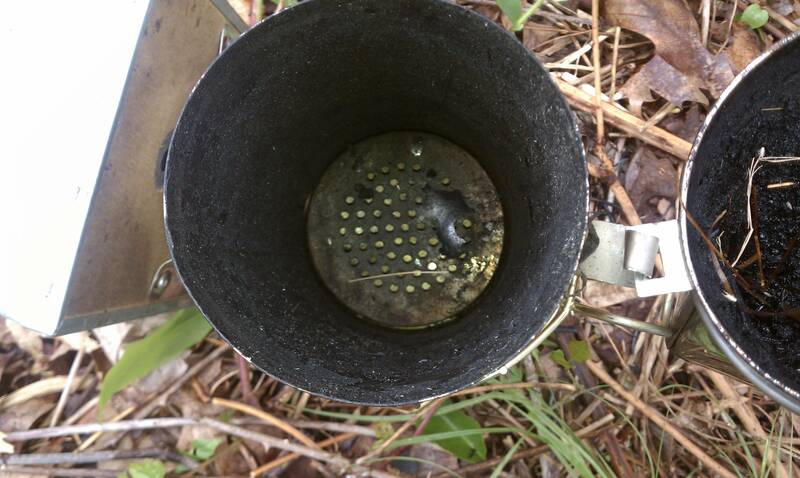 Place fresh fuel on top of the initial fuel, which by now is nearly consumed. Again, don’t pack it tightly. There must be room for air to move. Pump the bellows to produce smoke. Following the steps above, your smoker will produce a thick white smoke for several minutes. Be sure to pump it a few times every couple of minutes if you’re not actively using it to ensure it does not go out. From time to time gently push the unconsumed fuel down to the bottom and add new fuel, always pumping the bellows a few times to get the new fuel burning. 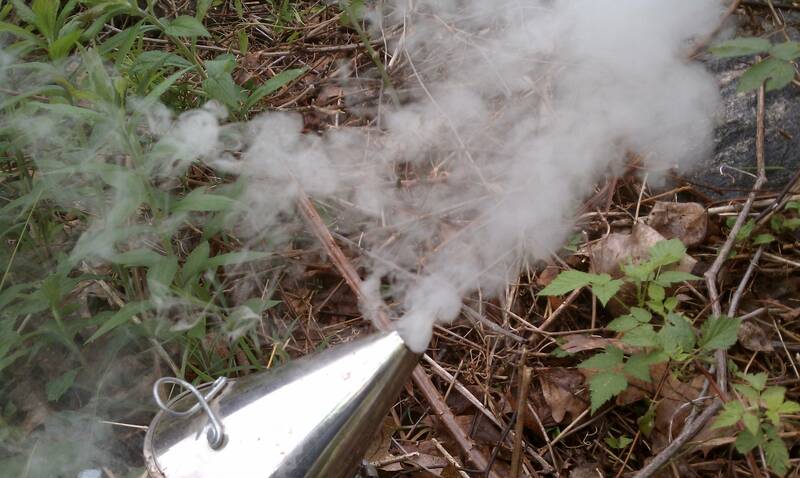 A few other things to consider: the smoker gets hot! Touching the sides can cause a painful burn. Also, keep loose clothing away from flames. If you are wearing a veil while lighting your smoker, take care that it also remains clear. The last thing you want is a flaming veil tied around your head. 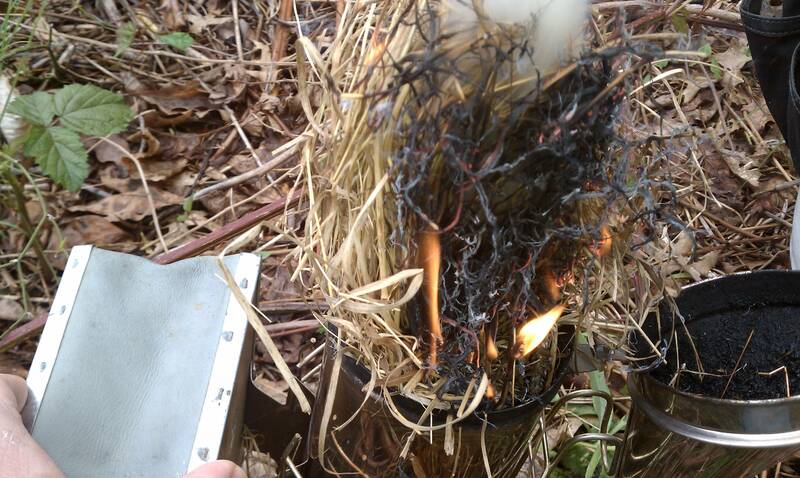 Finally, take care that you do not drop any sparks or embers on the ground, especially in very dry weather. Hi, Stuart! I find it beneficial to place the smoker in a metal bucket when putting it down. Ground tends to get dry, and to avoid starting a fire from the hot smoker, putting it in a metal bucket as you’re working with the bees keeps it safe. Great point, Sabrina. I usually don’t put mine on the ground after it has been lit.